Your laptop computer is robust and hardy enough that you can stuff it in a backpack or toss it on a chair, but that external toughness hides the fact that it houses tiny electronic chips. Meanwhile, your microwave oven beams so much energy it can boil a cup of water in just a minute or two. It's not unreasonable to worry about how your laptop is affected in the vicinity of a microwave oven -- but there's not that much to worry about. It's safe to operate your laptop near your microwave oven. Microwaves are radiation in a region of the electromagnetic spectrum, just like light and radio waves. Your radio receiver detects radio waves when you tune your set to match the frequency of a particular station's broadcast. Microwaves use the same principle, but inverted: instead of tuning the receiver to match the radio waves, a microwave oven tunes the microwaves to match the frequency of a common molecule -- water. When a water molecule absorbs the right microwave frequency, it vibrates. The vibration of water molecules causes them to rub against each other, which causes the temperature to rise. The microwaves in your oven are reflected back and forth by the walls of the enclosure until they're absorbed by water or fat molecules in your food. You don't need a fancy detector to tell if your microwave is leaking energy. Just wave your hand around the microwave oven. If any of the microwave radiation leaks out it will heat up the water and fat molecules in your hand and you'll know right away you have a problem. But the electronics that drive the microwave generator in your oven work at the same frequency -- about 25 gigahertz, or 25 billion cycles per second. Some electronic components outside the cooking compartment of your microwave can act like little antennas and send some of that 25 gigahertz radiation into your room. It's not enough to bother you, but your laptop is more sensitive. Every little length of wire in your laptop acts like an antenna. If you hit it with exactly the right frequency it can absorb energy, just like your radio does when you tune it to a station. The electronics in your laptop are designed so that none of the unintentional antennas are near microwave frequencies. Even so, if high-power microwave energy is funneled directly into the power supply circuitry of your laptop, it can cause problems. 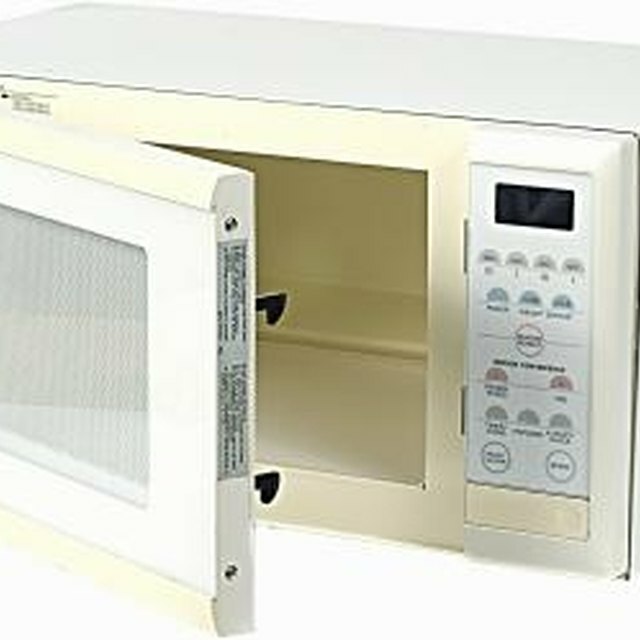 Fortunately, levels of stray microwaves powerful enough to do that are far higher than those from any properly functioning microwave oven, so you don't need to worry about escaping microwaves damaging your laptop or any other devices. Microwave ovens can mess with your laptop in another way, though: by interfering with your wireless network signals. The most common frequencies for Wi-Fi networks are from 24 to 25 gigahertz -- very close to the frequency of your microwave oven. Your Wi-Fi signal is very weak, compared to the strength of your microwave oven, but that means your laptop needs to be very sensitive to transmissions at that frequency. The microwave energy that comes from your oven's electronics can fool your laptop into thinking it's a Wi-Fi signal, which keeps your computer from transferring data to and from the real Wi-Fi network. This can slow down your network access, but it won't damage your laptop. The further you are from your microwave, the less this will be a problem.